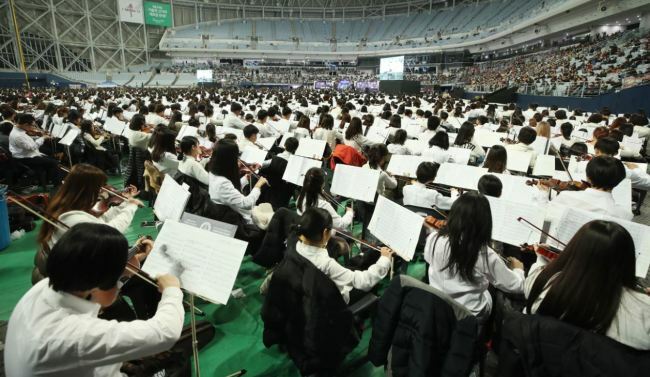 More than 8,000 musicians performed at Gocheok Sky Dome in Seoul Saturday to set the Guinness World Record for the biggest ever orchestra. The giant orchestra, consisting of amateur musicians from churches across the country, played a medley of Elgar’s Pomp and Circumstance Marches, the South Korean national anthem and two hymns for seven minutes in total. The performance’s organizers Christian Television Station and Music Home, a music education institute, said the event was to promote the upcoming PyeongChang Olympics and give a performance opportunity to amateur musicians in local church orchestras. Official Guinness World Records adjudicator Solvej Malouf was at the scene to verify the record and announce its success to the orchestra. 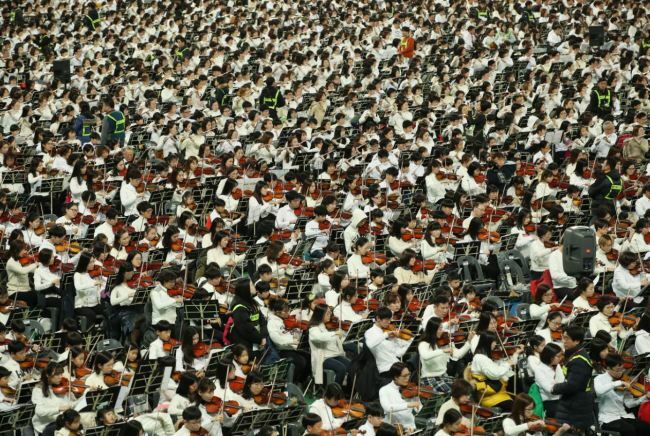 Among the 8,999 people who participated in the performance, 8,076 were recognized by Guinness World Records as players for the largest orchestra, trumping the previous s record in Brisbane, Australia featuring 7,224 musicians.